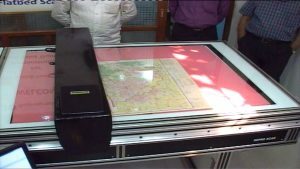 YES, We CAN SCAN YOUR OVERSIZED ARTWORK, MAPS AND FRAGILE PRINTS on our very large flatbed scanners! Imagic offers the highest quality scanning for your projects. From tough-to-scan engineering drawings to mounted items, we scan using harmless uniform cool LED lighting to generate great quality images, with true dimensions at high DPI while capturing fine details. Turn around time usually between 1 hour and 1 day. An optical dynamic range of 3.7 Dmax delivers accurate color, superb shadows and highlights crisp details and sharp images without compromise. With true optical resolution of 1600 dpi scanning, we can capture a tremendous amount of detail from your large-format artwork allowing scans to be printed perfectly and revealing superior image quality. 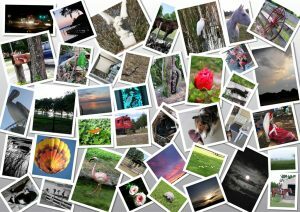 Your mounted artwork, posters, photos, negatives, or slides are scanned in brilliant 48 bit color. We can output to a variety of storage media including CD, DVD and thumb drives. We also have an Internet FTP site for easy retrieval of your scans. Optional retouching and color correction will give your job the professional look that you require. What about those photo archives? 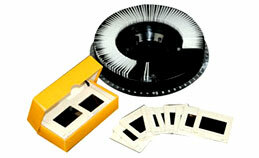 Let Imagic index those old slides, prints and negatives and put them on CD, DVD or USB drive. They’ll be at your fingertips forever. No more filing and storing hassles! Imagic has the technology and expertise to produce the highest quality, large format flatbed scans of mounted and unmounted artwork, posters and large format fragile documents up to 48″ x 60.” Cropping, color correction, and retouching services are available. One day service is the norm. Same day and Immediate services are available. Professional scans of 35mm slides and negatives, medium and large format transparencies and negatives, x-rays and microfilm in your choice of resolutions and file formats. Our high quality slide and negative scanners yield up to 30 MB of color information for use in your project. Your digital files are prepared to your specifications.